CMS Best Hardwood Floor Installation & Dustless Floor Refinishing. CMS Hardwood Flooring Installation & Refinishing Services has been faithfully serving Orland Park and Tinley Park wood flooring installation needs since 2006. We are a family owned business, and we are proud of the growth we have made over the past decade. Despite our small and humble beginnings, CMS Hardwood Installation & Refinishing Orland Park has grown to its current status through the loyalty of our customers. We pride ourselves on our professionalism and dedication. This is what keeps our customers coming back time and time again. Our experience spans from installation of hardwood flooring to hardwood floor refinishing. 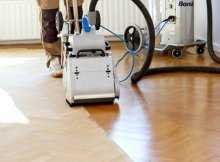 We also have expert knowledge in laminate flooring and vinyl flooring installation and refinishing. CMS Hardwood Flooring Installation Services Orland Park have worked with both residential and commercial properties to bring them their dream floor. Hardwood flooring installation is more than just our job, it is our passion. We believe a quality hardwood floor installation can make or break your home or business. A beautiful floor can bring your property from shabby to sophisticated in no time. Whether wowing a customer or house guests, a pristine floor will bring you up a notch in the esteem of those who matter. In addition, hardwood flooring installation can meet many different needs. It can offer acoustic benefits, thermal insulation, and a wide variety of aesthetic styles. The outstanding quality of our work is appreciated by many customers. 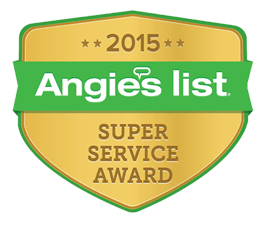 This has resulted in us being the AngiesList Super Service Award for 3 years in a row! This title is obtained by less than 5% of thousands of businesses every year and honors excellence among providing services. CMS Hardwood Flooring Installation & Refinishing is a proud representative of the highest level of hardwood flooring installation and hardwood floor refinishing services amongst Orland Park & Tinley Park hardwood floor contractors. We can't wait to do the hardwood floor installation and refinishing for you! Hardwood floor installation is the best investments you can make for your home. Timeless, sophisticated, and classy, this floor lasts decades. Though hardwood lasts decades, it can look rough over time. Hardwood floor refinishing returns its former sheen without completely replacing the floor. A quicker, cleaner method of refinishing, dustless refinishing is excellent for hardwood floor owners with allergies or on a budget. Is your floor in excellent shape except for one or two damaged planks? Hardwood floor repair just may be your best bet. If hardwood isn’t your thing, we also offer vinyl floor installation. This durable flooring comes is a variety of colors and styles. Love the look of hardwood floors but just can’t afford it? Laminate flooring gives the sophistication of hardwood at affordable prices. Engineered hardwood flooring is often easier to install and more affordable than hardwood. It’s also more moisture and heat resistant. Welcome to CMS Hardwood Floor Refinishing Orland Park! We are here to make your hardwood flooring refinishing dreams come true. Our highly skilled staff will not only perfectly take care of your wood flooring, but also provide any kind of support you will need. Give a chance to hardwoods. Add character to your home! CMS proudly presents the most significant hardwood flooring service: Hardwood Floor Installation & Refinishing Services. It's a great, low-cost alternative to any kind of hardwood floor installation and refinishing process. Recommended for a places where dust is unwanted or where there is lots of humidity or temperature variation. It's perfect for every place at your home! Hardwood floors are now known to be dust resistant, easy to clean and waterproof which makes it the ideal flooring option for kitchens, bathroom, laundry rooms, or any room prone to moisture. Here, at CMS Hardwood Flooring Installation Services Orland Park, our service come in different styles and patterns including plain, wood, tile, stone and mosaic, to help give your interiors a very attractive, nice finishing. CMS Hardwood Floor Installation Orland Park is one of the greatest Chicago-land hardwood flooring contractors. Through our years of hard work, we have gained a lot of valuable experience, which translates into high quality of CMS hardwood floor installation services. Thanks to our long practice, we are able to satisfy customers both with our work and customers service. Using good hardwood materials during our hardwood flooring installation makes the surface more resistant to scratches, fading, and damage. Add the sophisticated class of real hardwood flooring with our professional installation. We carry a wide variety of wood types and stains to match any taste and any home’s décor. Old floor all scratched up? It may not be necessary to replace it! Our dustless refinishing removes the top layer of flooring, with much less dust, before staining and sealing. Hardwood floor can last ages, but individual planks can crack, warp, or break. We can repair these, or replace the plank, so that your floor looks as good as new. Vinyl flooring is an excellent, low cost flooring type. It is extremely durable, holding up to small children and pets with no problems. It is a very attractive flooring option. Love the look of hardwood but don’t have the funds? Laminate has all of the beauty of hardwood for much cheaper—and in some situations it is much more durable. Engineered hardwood is manufactured from several pieces of wood rather than one plank. A cheaper hardwood option, it can often hold up better to moisture, making it a strong option. Our customers love us! We are the hardwood flooring contractors that Orland Park residents trust for their flooring needs. How do we know? We have received many excellent reviews from our customers. Many clients have praised our hardwood floor installation and hardwood floor refinishing on several different internet sources. 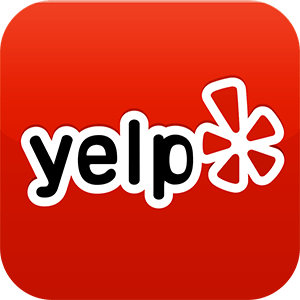 Their reviews can be seen on Google+ and Yelp. 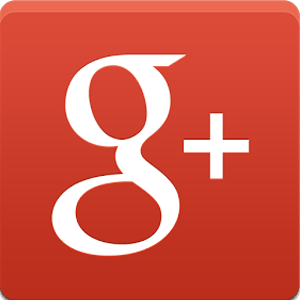 Our Google+ clients praise our work as the best hardwood flooring company they have worked with: efficient, affordable, high quality, and reliable. For hardwood floor installers Orland Park IL/ Tinley Park IL can trust, give us a call. If you’re in doubt, just take a peek on Google+. We are confident you will like what you read. Questions? Don’t hesitate to give us a call. We look forward to meeting you. Everyone deserves a hardwood floor they love, whether brand new or refinished and it is our goal to provide that luxury to you. Hardwood floor installation adds a level of sophistication and grace to any home. There are a wide variety of wood types and finishes available to create the look you want. The abundance of choices allows people of all budgetary needs to consider hardwood flooring installation options, from typical hardwood to the more exotic alternatives. Some types of hardwood floors are easy to install on your own, but we highly recommend using a professional. If you are looking for a trusted and reliable hardwood flooring contractor, you couldn’t find better! Here, at CMS Hardwood Floor Installation we strive to provide only the highest quality hardwood flooring installation services in order to keep our customers fully satisfied. Hardwood floor installation is not an easy task for someone who’s not familiar with wood flooring services. That’s why it’s so important to find a contractor who will not fail your project. Give CMS Hardwood Floor Installation Orland Park a call to discuss your hardwood floor installation today. We cannot wait to work with you. Are your hardwood floors looking dingy, damaged or scuffed? At CMS Hardwood Floor Refinishing Orland Park, dustless hardwood floor refinishing is our specialty! Although it is one of the most durable flooring options, hardwood flooring refinishing has to be maintained properly in order to maintain it’s longevity and quality. Many of our clients want to know, what exactly is dustless hardwood floor refinishing? Unlike other hardwood floor refinishing techniques; dustless hardwood floor refinishing only requires a light scuffing in order to etch your flooring and repair any previous damage before putting a new finish and top coat down to protect your hardwood floors for the future. CMS Hardwood Floor Refinishing Service Orland Park, IL is second to none in both quality and efficiency. CMS Hardwood Floor Refinishing can provide you with a great wood floor refinish; repairing your floors and giving you a fresh new start with your hardwood flooring! Call today to hear more about our dustless hardwood refinishing services. When you work with CMS Hardwood Flooring Installation & Hardwood Floor Refinishing Orland Park, you will always be speaking to an expert that wants to provide the best possible options for your hardwood flooring installation. Providing second to none service in the area for years, we at CMS Hardwood Flooring Installation & Refinishing are contractors in Orland Park & Tinley Park that truly care about our relationships with our customers. We always strive to go above and beyond for each and every client; paying close attention to exactly what their hardwood flooring installation needs are. Our clients and customers know that our team will work to find the right hardwood flooring installation solution for them; whether it’s a new installation of hardwood or a vinyl floors. We are here to walk you through the process, from choosing your flooring type and finish to what the hardwood floor installation and maintenance will entail. At CMS Hardwood Floor Installation Services Orland Park, we don’t believe that high quality means a hefty price tag. With CMS Hardwood Flooring Installation you will always be getting a great deal and expert service. There’s no need to sacrifice the quality of flooring materials to fit your budget; CMS Hardwood Floor Installation Orland Park & Tinley Park has a huge selection to choose from to fit every home or business renovation budget. Whether you are getting new hardwood floor installation, you want to make sure that not only is the product being used high quality; but that the hardwood flooring installation itself is done to the highest standard. CMS Hardwood Flooring Installation is known not just for our selection of high-quality products; but also for our top-notch service. All of our employees are highly trained, experienced and take immense pride in their work. For quality flooring installation at a fair price; there’s no one better than CMS Hardwood Flooring Installation Orland Park. Have you had a recent experience working with CMS Hardwood Floor Installation or Hardwood Floor Refinishing Orland Park? We’d love the hear from you! No matter where you are in your hardwood floor installation or hardwood flooring refinishing; we’d like to know how satisfied you are with the care you and your property received. Our customer always come first and foremost, which is why we value gathering customer and client feedback so much. At CMS Hardwood Flooring Installation & Refinishing Orland Park we always want to put our best foot forward with each and every client. When you provide us with feedback on our products and sales team, as well as the quality and timeliness of our hardwood flooring installation and hardwood floor refinishing services, this allows us to assess our availability of stock and services for the future. When you provide the CMS Hardwood Flooring Installation & Refinishing Orland Park team with feedback, it allows our business to continue developing our services to meet the needs of future clients. We hope to hear more about your experience! We are proud to serve a wide range of the Chicagoland area. Unsure if we serve your suburb? Give us a call and we’ll be happy to discuss the possibilities. Much of our work is performed in the south and southwest suburbs. So far, our work has occurred in the Illinois cities of Bridgeview, Burbank, Chicago Ridge, Hickory Hills, Justice, Oak Lawn, Orland Park, Tinley Park, and several surrounding areas. We have proudly served this area for several years and are pleased to have many satisfied clients in the area.